Elliot Freeman was born on March 30th 1956 in Manhattan, New York. At an early age he and his family moved to Miami Beach, Florida. In Miami, Mr. Freeman started his martial arts training in Moo Duk Kwon in 1969 under James Diaz. Later he formed his first martial arts program through Miami Beach Senior High School. While in high school, he also trained privately with Rick Hamilton (Senior Student of Chuck Norris). He spent his summers training in New York City with such greats as Master Instructor Richard Chun, Joe Hayes, and Spider Rodriguez. In 1971, Mr. Freeman began Kendo and Iaido training under Master Instructor Dalarta, in a small private dojo above a grocery store in Little Havana. On his 16th birthday, after receiving his driver’s licence, Mr. Freeman made the hour and a half drive (before I-95 was paved) to Fort Lauderdale, where he trained in his first Aikido class under Sensei Jim Walsh. At that time, Aikido was extremely obscure, but when Mr. Freeman heard that an Aikido instructor could throw people without touching them, he and his best friends had to make the trip to see it. Sensei Walsh was the first of many Aikido instructors that inspired Mr. Freeman to develop new angles of attack and very different methods that he then applied in his competitive tournament fighting years. From 1974 through 1978, Mr. Freeman instructed martial art classes and credited self-defense classes for the University of Northern Colorado, where he received his BA in Fine Arts. In 1978 he moved to Boulder, Colorado, where he continued his Aikido studies under Kashiwaya Sensei, Senior Instructor for the US Ki Society. In 1980, Mr. Freeman moved to Carbondale, Illinois to pursue his terminal degree in Fine Arts, with an emphasis in Glass Blowing and Ceramics. While in Carbondale, he founded the University Martial Arts Club, which had an attendance of over 400 students and faculty. The UMAC Program was the formal training and blending of Moo Duk Kwon, American Freestyle Karate, Aikido, Kendo and Iaido, Japanese Jujitsu, Kali, and Escrima. Sensei Freeman coordinated 32 two-hour block classes throughout the university each week, utilizing black-belt students from around the world who were attending the university. Mr. Freeman’s martial arts school was strongly focused on light contact tournament fighting and kata, regularly traveling to competitions and seminars in St. Louis, Chicago, New York City, and Miami. In addition, Mr. Freeman was rated in the top three in the Master’s Division for the NKA (National Karate Association) as well as the AKA (American Karate Association) for two consecutive years. After two seasons in Montana at the Bray, (noting that it actually snowed on July 4th), Mr. Freeman decided to pursue a teaching position at Triton College in Chicago, Illinois. While in Chicago, he trained often and rigorously within the Iwama Aikido system under Shihan Akira Tohei (Midwest Aikido Federation). Years later he attended a Chicago-based seminar with Shihan Mitsugi Saotome and was admitted along with his Carbondale-based students to the Aikido Schools of Ueshiba (ASU). 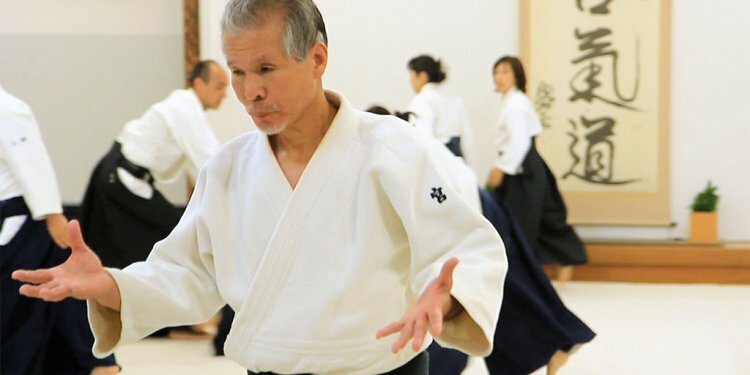 He continued his training at the Chicago Aikikai under Dojo-Cho Kevin Choate, while continuing to travel often to train at Saotome Sensei’s dojo/home and regularly attend many Aikido summer camps, workshops, and seminars around the United States. Mr. Freeman also traveled extensively through Mexico and Central America during the 80’s and 90’s, training at various dojos throughout the region and taking on seminars and private students. In 1990, Shihan Larry Tankson (a top-rated US tournament fighter), asked Mr. Freeman if he would teach Aikido at his Gold Coast Martial Arts Center. Shihan Tankson offered to build an additional building designed for Aikido, thus creating Gold Coast Aikikai, Chicago, Illinois. In 1992, Saotome Sensei directed Mr. Freeman to travel to St. Louis, Missouri to teach several seminars with the intention of getting students ready for black-belt testing at the upcoming ASU conferences. In 1993, Mr. Freeman attended Master Instructor Steven Seagal’s summer camp at his Montana Ranch along with his St. Louis Aikido school. As a result of attending the camp, Mr. Freeman was accepted as a Tenshin student under Shihan Steven Seagal, and was asked to create a St. Louis based Tenshin dojo: Three Rivers Aikido. Since then, Mr. Freeman has co-coordinated annual and semi-annual training seminars to study and test with Master Seagal and his other senior students. In 2000, Mr. Freeman founded Defensive Tactics Technologies (DTT), a POST-certified law enforcement security, institutional, and personal protection agency. Master Steven Seagal has co-authored the latest DTT POST-Certified Training courses (police officer standards) with Sensei Elliot Freeman. Since 2003, Mr. Freeman has been on the faculties of Blackburn College and Culver-Stockton College, teaching Defensive Tactics for the Criminal Justice departments. In addition, he has provided training for public and private schools and universities throughout the St. Louis region. (Washington University, St. Louis University, University of Missouri-St. Louis, Ursuline Academy, and Chaminade College Preparatory School.) Mr Freeman has also served as adjunct faculty at the Smith and Wesson Academy, Springfield Massachusetts. Mr. Freeman is also on the advisory board for the Criminal Justice programs at ITT Tech and the Judevine Association . During this time period, Mr. Freeman developed a Train the Trainer program for the largest entertainment night-club chain of it’s type that is traded on Wall Street, IEC Incorporated. Mr. Freeman coordinated over 400 security staff for these clubs with a no-injury implementation policy. In 2009, Mr. Freeman expanded on this no-injury policy, by developing an extensive program for mid-west area hospitals that combines his POST-Certified courses focusing on security and nursing staff to be trained simultaneously for violent patient encounters. This program has since been implemented at such hospitals as Barnes Jewish Hospitals, St. Anthony’s Medical Center, and Missouri Baptist Hospital.